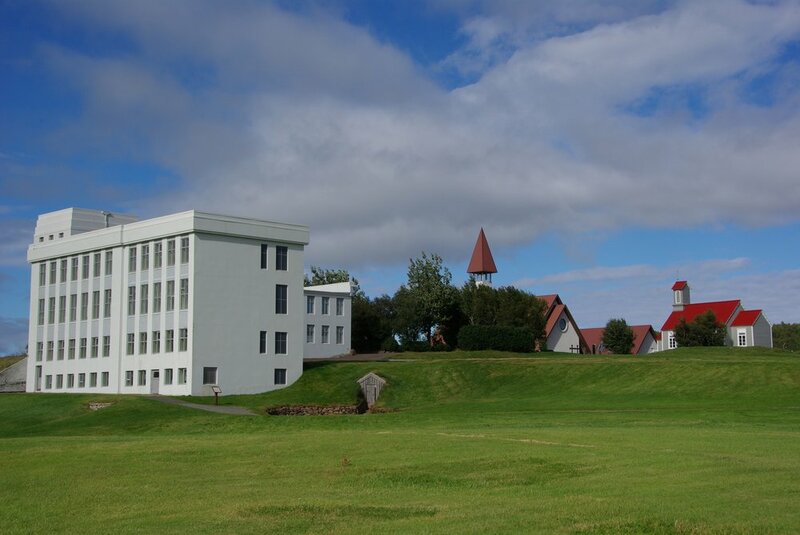 Reykholt is one of Iceland’s main historic sites, a cultural centre past and present. Snorri Sturluson, a famous medieval historian, politician and chieftain settled in Reykholt in 1206 and was killed there in 1241. 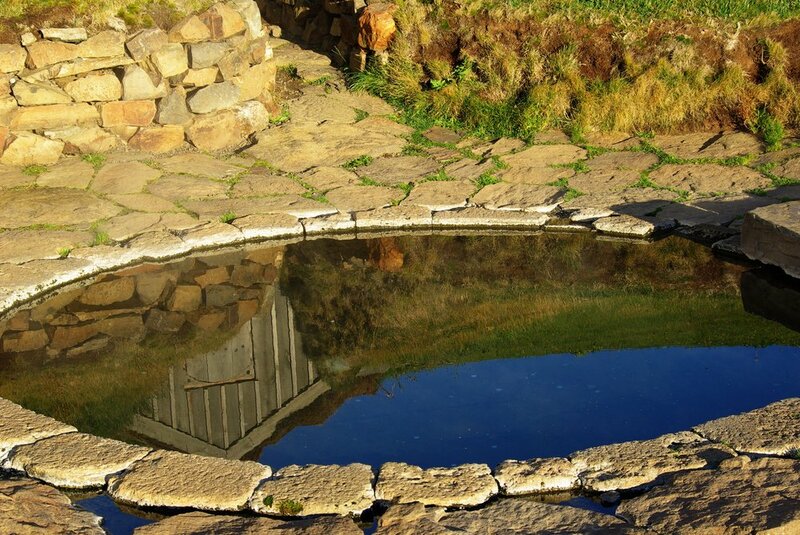 The most distinctive antiquity in Reykholt is the pool of Snorri Sturluson, called Snorralaug. The pool and the water conduit, leading water from a nearby hot spring, date back to the 10th century and are maybe the oldest preserved constructions in Iceland. The Church of Reykholt represents a cultural and medieval centre. The church was consecrated on July 28th 1996. It is known for its good acoustics. 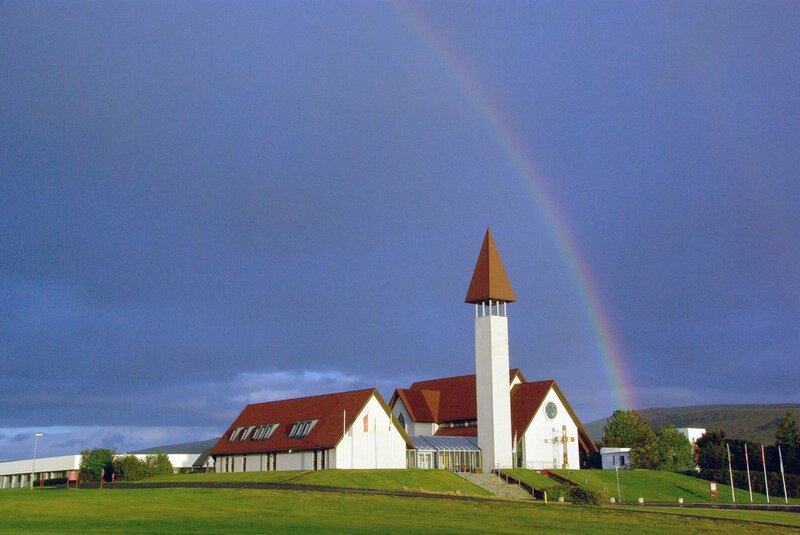 The church has old church bells, Frobenius­organ from the cathedral in Reykjavík, awardwinning stained­glass windows and a soapstone baptismal font, a donation from Norway. The font and an altar from an older church in Reykholt are from around 1500, now the property of the National Museum. The old church in Reykholt, built 1896–97, was in use until 1996. It is now under protection of the National Museum and is open for all visitors. The annual music festival, Reykholtshátíð, is held in the last week of July. Visits outside of opening hours available upon request. Icelandic Saga & Heritage Association (ISHA) was founded in 2006 (then named Iceland Saga Trail Association). It is a forum for collaboration for those involved in heritage tourism in Iceland, especially regarding publicity, quality and professional standards.